The hometown paper – The Arizona Republic – in Phoenix writes about a hometown college – Grand Canyon University – that turned from a failing brick-and-mortar institution into a largely online college. Grand Canyon has been lumped in with others in some investigative articles by journalism or governmental institutions. But the hometown paper suggests the Christian-oriented school is a turn-around story with its headline, “How a struggling school got saved.” Editorial writer Laura McBride, chronicles the schools resurrection from near closure to apparent vibrancy. “The campus teems with energy. Students attend class. Construction crews create spaces to work and play. Students fill new residence halls. Concerts and plays bring a state-of-the-art arena to life,” she writes. Today, the private, for-profit university campus in west Phoenix heralds its renaissance with a $213 million expansion and 44,000 students, while maintaining its small class sizes and emphasis on Christian values. The transition hasn’t been easy. Moving from a private, non-profit model to a for-profit university with a considerable online component brought challenges. What university officials discovered, however, is a melding of online and traditional higher education. In 2004-05, Grand Canyon was $20 million in debt. An unceremonious ending loomed for the private college founded in Prescott in 1949. Typically, universities rely heavily on alumni donors to build endowments, to attract top professors and researchers, and to expand courses and facilities. Many of the dollars come from philanthropists, corporations and alumni donors who have found success in the business world. For 60 years, Grand Canyon, which relocated to Phoenix in 1951, has focused on liberal-arts education, primarily nursing and teaching – fields that don’t generate the salaries that help grow endowments. And with an enrollment in 2004 of about 1,000 students, tuition didn’t cover costs to maintain programs and keep the lights on. She explains how Brent Richardson, now executive chairman of the board, saw potential for the school. Richardson’s Masters Online company was partnering with Grand Canyon to launch an online component when the school’s closure was imminent. He saw the university’s strengths – a well-respected reputation and status as a private, Christian university in a state with few options – and refused to let Grand Canyon die, rallying investors to save the school. At the time, colleges offering online degrees were required to have a physical presence. With the acquisition of Grand Canyon in 2004, Richardson moved quickly to build the online component, creating various Master of Education programs for working adults. The move improved the cash flow, but the university couldn’t afford to keep all its existing programs, including music. Richardson thinks the school needs to be good at both on-campus and on-line education. He turned to Brian Mueller, a former executive at University of Phoenix owner Apollo Group, for expertise. An Initial Public Offering generated $30 million and online courses still fuel the growth. 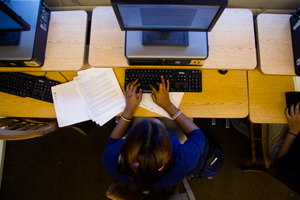 It now counts 40,000 online students, half of them graduate students. Arizona’s Board of Regents are pushing online courses heavily. But the schools like GCU and University of Phoenix have to improve practices to avoid punishment from Federal regulators. Already, GCU paid $5.2 million to settle a lawsuit alleging that it violated U.S. Dept. of Education rules on enrollment. Richardson said in hindsight, he wishes that it could have remained a non-profit school, but then the university wouldn’t have cash to improve the 112-acre campus. Using funds generated from investors and online programs, Grand Canyon officials are spending heavily on the campus. A $213 million expansion includes two new dormitories, a student recreation center, classroom buildings and the showpiece – a 5,000-seat, $40 million arena that will be home to the school’s basketball team and offer public concerts and events. In the past four years, the number of traditional students has grown from 1,000 to about 4,000, with 45 percent of those living on campus. Mueller said the university is confident that it can grow to 11,000 on campus within three years. 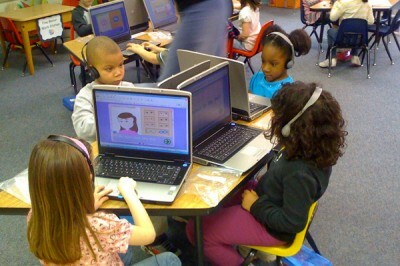 Heard: Carnegie Learning & Other Edu Tech Firms Overpromising, Underdelivering?